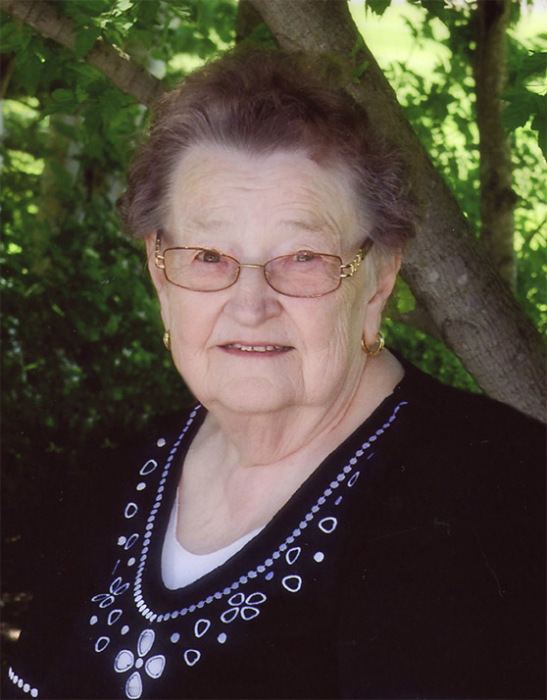 Marge Dueck (nee Hildebrand), age 83 of Altona, Manitoba passed away Tuesday, December 18, 2018 at Eastview Place. She is survived by her children, son Wayne and daughter in-law Carilee Dueck, daughter Debbie Toews and her husband Bob, daughter Valarie Resch, as well as five grandchildren and two great grandchildren. She was predeceased by her husband Abe, and her son Warren. Memorial service will be held on Friday, December 21, 2018 at 2:00 p.m. at the Altona Sommerfeld Mennonite Church. A private family burial will take place prior to the service. Donations in memory of Marge Dueck may be made to Eastview Place, or the Alzheimer’s Society.